As a leader of the organization, I hold in high regard employees who share the same philosophy as the company. That is why I am hoping that my employees are happy at work every day. This is not an exaggeration for me. I really believe that the happiness of employees is directly connected to whether they will stay in the company for a long time or not. 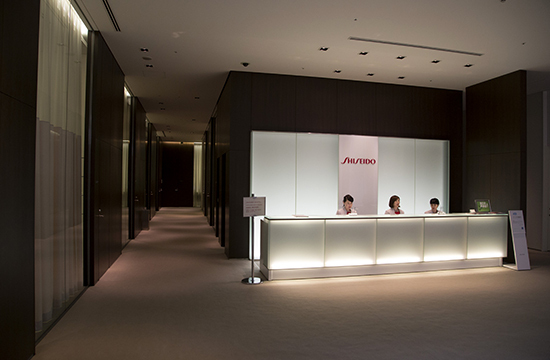 Shiseido has a long history, which is about three times longer than my existence. And it will keep running for more than 100 years from now. In order for that to be possible, we would like to continue being a company that creates happiness by valuing our people. Beauty business is the essence of our company, and we believe that it is our mission to pursue beauty. For this reason, we constantly take into consideration the needs of the times, subjectively and objectively. And we would like to embrace diversity by accelerating it further in the near future. Various people work for us regardless of gender, age, nationality, and culture. I firmly believe that such diversity creates unique, creative ideas that will push innovation.In order to accelerate such diversity, a flexible working style has to be promoted. It is also the company's duty to provide a lot of options to employees, such as implementing a flexible clock-in time and promoting work from home. If the company wants employee output, it must first settle the input. That is why we think that it's best to create a working style that suits the style of each of our employees. I took part in hosting a symposium in 2016, where I led in promoting diversity in the company. Until now, we continue activities that promote these various working styles.However, most of the companies that promote this are having issues with bosses in the middle management. In other words, it is difficult to inculcate diversity in a workplace if the bosses do not fully understand it. No matter how much employees understand, it will not be fully practiced in the company if their boss will not do their part. I believe that it is also important to bring the corporate hierarchy to good use so that it would encourage growth. When I studied at a business school in New York in 1981, about 40% of the class are women, and the most excellent student was also a woman. Although there were only a few women who are active in the business world at that time, the climate wherein women are gradually taking part in the society has taken root in the US, unlike Japan where a male-oriented society remains.Also, when I was in Coca-Cola Japan, my supervisor was a young female American. If other Japanese would face the same situation, most of them may feel that they are stuck in a delicate job or feel uncomfortable with the work setting. However, it is common in companies that practice diversity. In my case, I valued communication and discussed a lot of things with her. There will be no issues as long as you do not forget to compromise. Through that experience, it made me realize once again that gender, age, nationality, and culture have nothing to do with business. In modern society, people have become more able to spread information through social media and other platforms, helping increase the diversity of each individual. Companies at the same time are rapidly accelerating their diversity. However, no matter how diverse it is, one must not forget that each one belongs to some country, and that each one is a part of the organization and is a member of the family.Just like how Japanese go into high spirits when looking at the Japanese flag in the Olympics, each one is connected somewhere within the same root. The same is true in companies. It is important for each employee to connect with each other in some parts of that root. 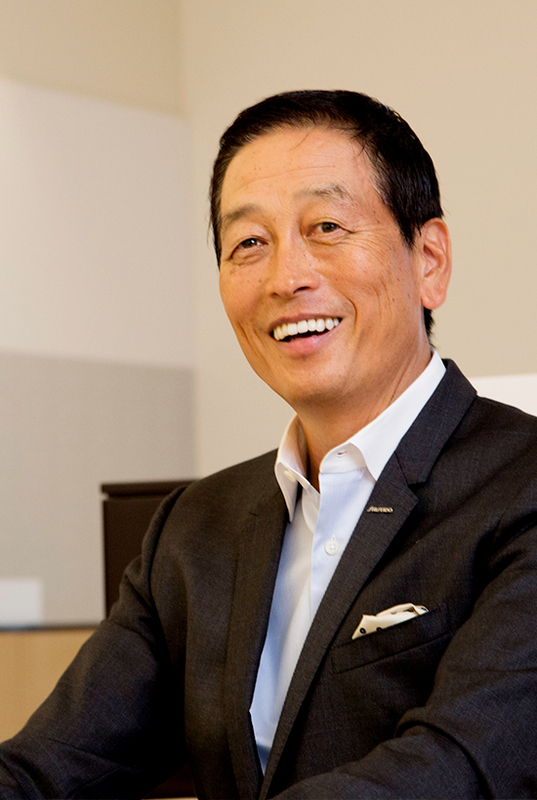 Shiseido has the philosophy "inspire a life of beauty and culture", and I would like to continue taking good care of that connection between our employees. Where is the company heading? How we share our principle where we assess our mission at work, is our key to surviving modern society.After all, people are the ones making it possible. If you cannot take good care of the people, you cannot build a good company or a company that will last long. I believe that this human nature is our company’s fountainhead.